27-28 March 2019 at the Lviv State University of Life Safety held Ukrainian competition of student papers in "Technological safety" and "Civil Safety (life safety)". Students gr. ДEA-ПOМт18 мг. and ДEA-ПOO16пр. Rybalchenko Tetiana and Chitiakova Nadiia adequately presented their scientific work. 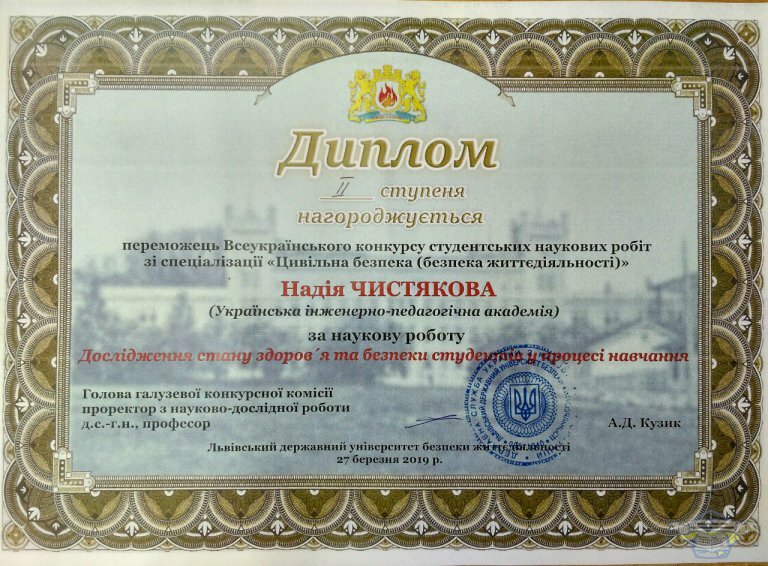 Chitiakova Nadiia received the diploma of II degree. We congratulate and wish them further success in their studies and research work! 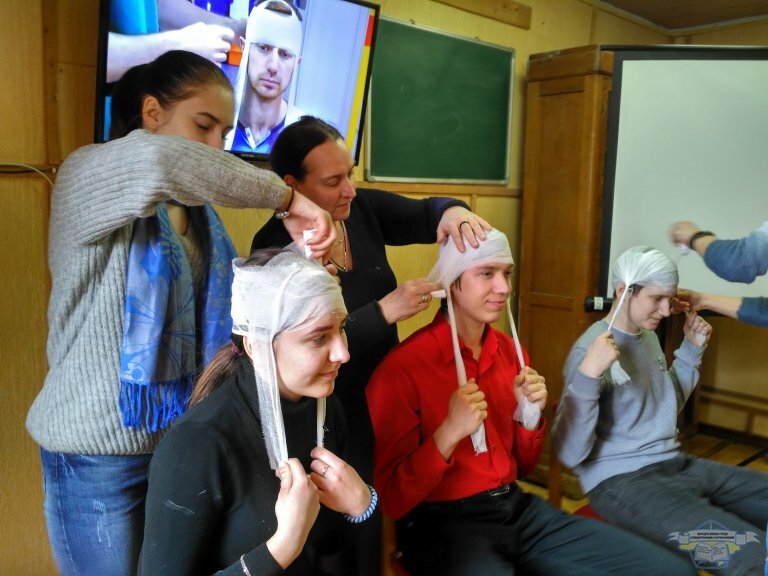 29.03.2019, at the Department of Labor Protection, Standardization and Certification, trainings were conducted for applicants in thematic areas: “Innovations in First-Aid First Aid” and “Quality of Food Products”.The training was attended by students of the Kharkov machine-building college students majoring in "Mechanical measurements".